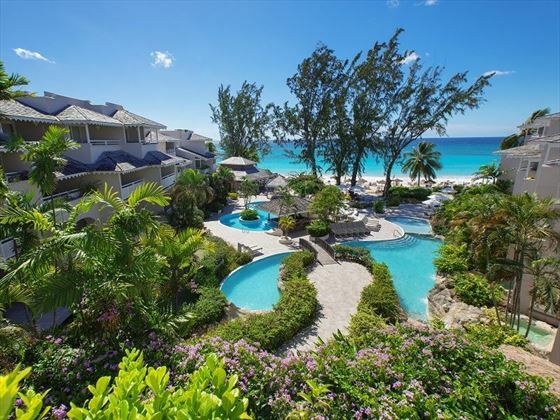 Feel the warmth of the sun on your skin, soak in the beautiful sights and savour deliciously fresh cuisine during your stay at the gorgeous Bougainvillea Barbados. 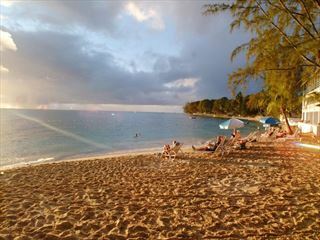 Nestled on the south coast of Barbados, you’ll be close by to the island’s fabulous restaurants, lively bars and gorgeous beaches. 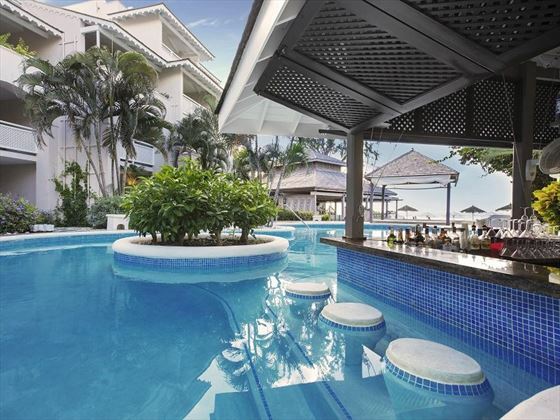 During the day, unwind by one of the two pools, sipping a refreshing cocktail at the swim-up bar and soaking up the sunshine. There’s plenty of fantastic water sports to keep you entertained, or you could indulge in a rejuvenating massage at the brand New Karma Spa and Salon. 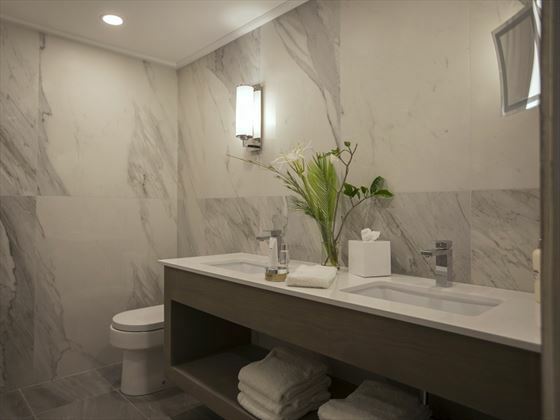 The beautifully refurbished suites are spacious and elegantly furnished with ocean, pool and garden views and all of the amenities needed for comfort and convenience. 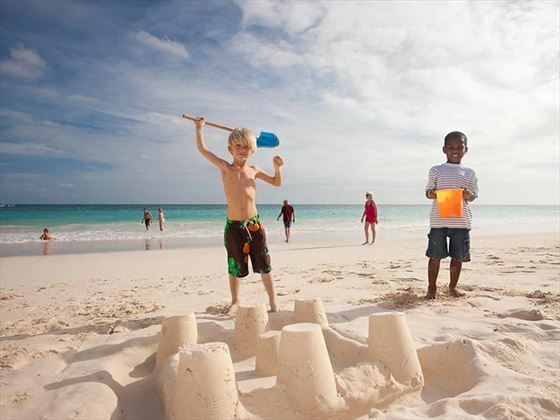 Further reading: Bougainvillea Barbados is featured in our guide to the top 10 family hotels in Barbados. 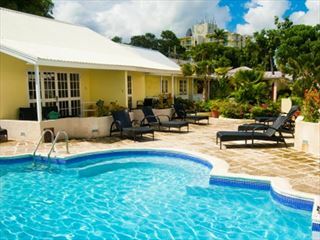 You'll find this fun hotel along Barbados' South Coast, desirably close by to the lively St Lawrence Gap and a few feet away from Oistin's Fish Fry. Boasting gorgeous ocean views too, this is a brilliant choice should you fancy immersing yourself in the island's vibrant lifestyle. Comfort & Elegance is key and the spacious, beautifully designed studio and suite accommodations provide a home that is yours to enjoy. There are a total of 100 spacious and new refurbished Studios & Suites, all of which are beautifully furnished. 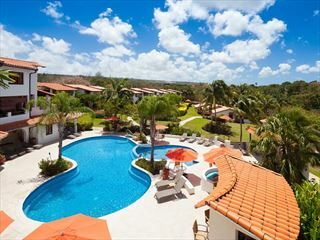 Deluxe Studio - Airy 30sqm rooms with lovely garden, ocean and pool views, plus a Queen size bed and small kitchenette. This room also has a furnished balcony/terrace and a shower only. Sleeps a maximum of two adults. 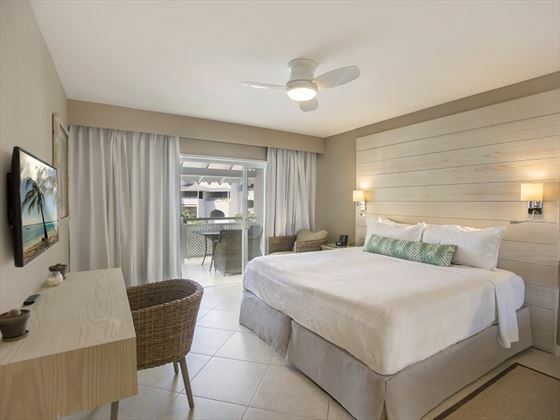 Junior Suites – Great 40sqm suites, with ocean, garden or pool views, plus a Queen size bed and featuring a separate sitting area with a sofa bed. This room also has a Kitchenette, combination shower/bath, furnished Balcony / terrace and these rooms can also interconnect. Sleeps a maximum of two adults and one child under 15. Honeymoon Suite – Romantic 30sqm suites featuring a four-poster bed, separate lounge area, Furnished Balcony with extended terrace, combination shower/bath and a kitchenette. Sleeps a maximum of two adults. One Bedroom Deluxe Suite – Spacious suites between 54.3-56sqm with a living room with a sofa bed, King Bed in the bedroom, combination shower/bath and a furnished balcony or terrace with garden, ocean or pool views. Sleeps a maximum of four. One Bedroom Penthouse – Gorgeous 75.5-130.6sqm suites, with airy décor, a furnished balcony or terrace, a large bedroom with King Size Bed, living room with sofa bed, and a kitchen. Sleeps a maximum of four. 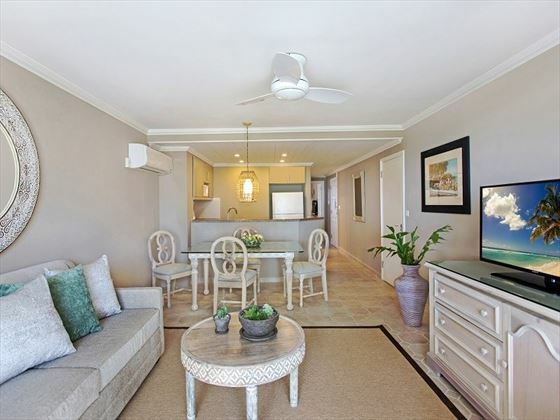 Deluxe Two Bedroom Suite – Large 70sqm suites, featuring two bedrooms which both have king size beds, a separate sitting room with sofa bed and lovely ocean, garden or pool views from its furnished balcony or terrace. Sleeps a maximum of six. Two Bedroom Beachfront Luxury Suite – Welcoming 64.2-102.2sqm suites with beautiful ocean views from the multiple furnished balconies, featuring two bedrooms with king size beds, a living room with a sofa bed, and a kitchen. Sleeps a maximum of six. Calabash Cafe - Serves daily continental a la carte & buffet breakfast, delicious lunch and dinner menus. 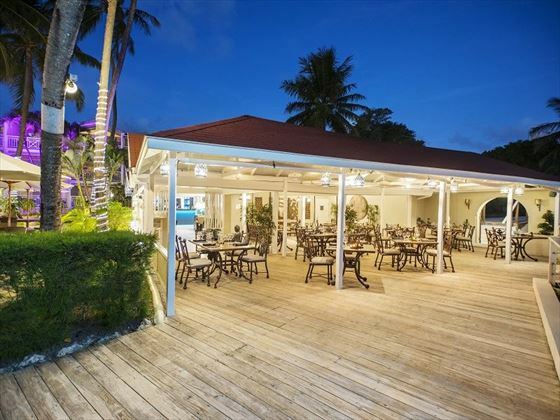 The Manager's weekly Rum punch party is held here every monday between 6-7pm which is followed by a Barbeque buffet with steel pan entertainment. Thursday evening is a Caribbean Buffet and floor show. Siam Bar & Restaurant - Tucked away on the quieter east side of the resort, this sumptuous Thai restaurant focuses on a fantastic food menu paired with exquisite cocktails. Nestled on the beachfront with a scenic boardwalk, this is perfect for a romantic meal. Open (seasonally) on Tuesday 6.30pm-9pm, and Thursday to Sunday 6.30pm-9pm. Closed Monday and Wednesday. 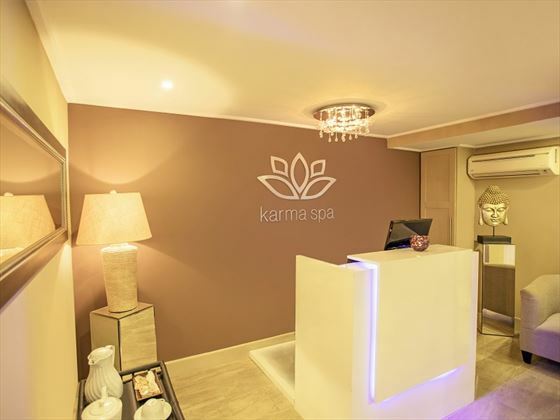 Karma Spa and Salon, a gorgeous spa offering a variety of revitalising treatments, including couples massages, facials, body scrubs and manicures. 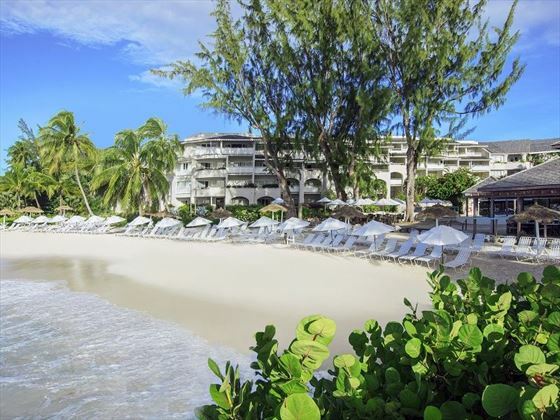 Nestled graciously on the exotic West coast of Barbados, this boutique hotel enjoys a prime location in a secluded setting and tranquil tropical ambiance. 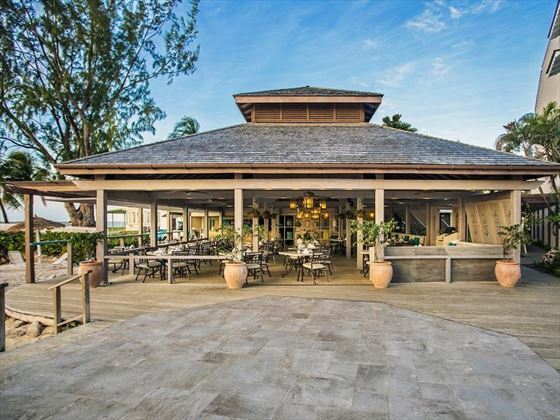 This plantation-style property is set in manicured tropical grounds along St James Beach, and offers exceptional all-inclusive value.